Tired of worrying about your reviews? 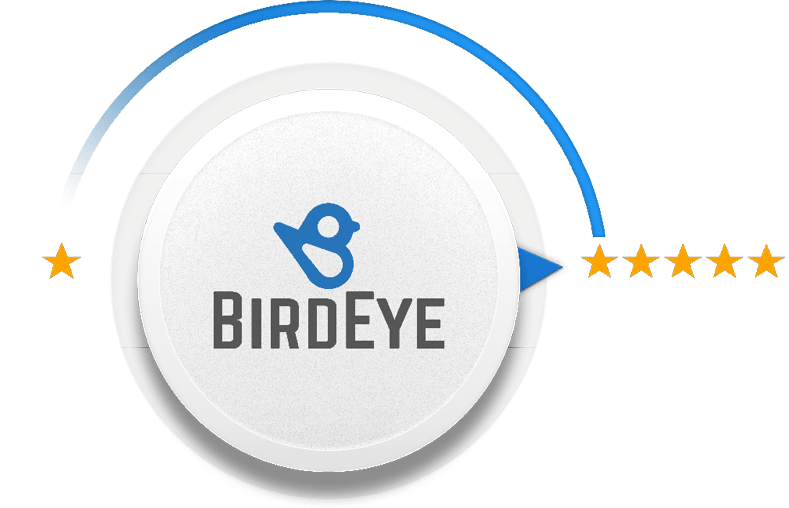 Our BirdEye partnership is an easy and effective way to gain more 5-star reviews. Patients use reviews to help make their medical decision. Whether we think it’s silly or not, it’s a fact, and it’s not going away. 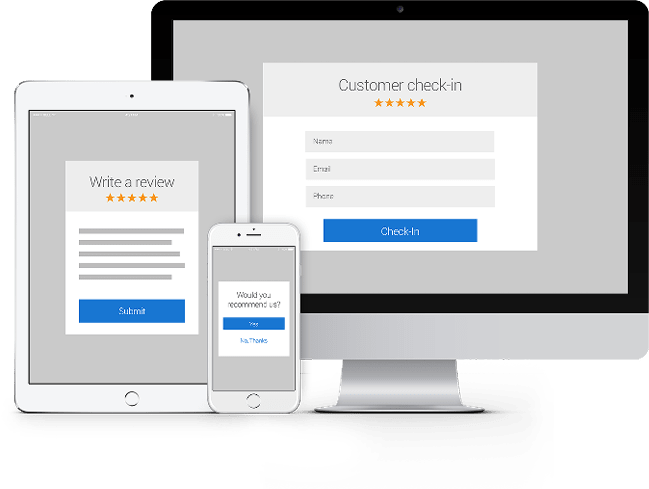 You can leave your reviews up to the few patients who likely woke up looking for something to be angry about…or you can take control of your reviews. 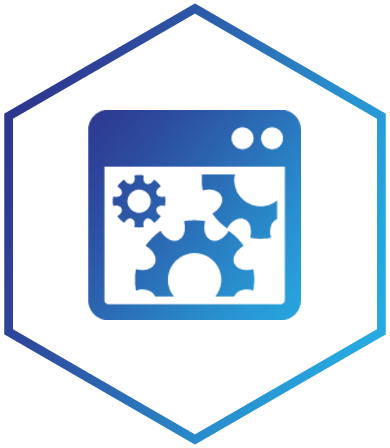 With Trackable Lead Generation + BirdEye, you can dominate online search, improve patients’ experiences, and collect hundreds of new patient reviews to build your online reputation— automatically. Build positive reviews on Google and more than 200 other platforms. INTEGRATE with your practice management software to generate reviews automatically. GROW your rankings in local and organic search. Statistics show that 93% of consumers read online reviews before visiting a business. PREVENT negative reviews from hurting your reputation. BirdEye’s intuitive platform enables you to respond instantly to negative reviews before problems escalate. Reviews are influencing your patients. People rely on online reviews for choosing healthcare services. of people trust online reviews as much as a recommendation from a friend. Automatically sync your practice management software with BirdEye’s dashboard and create campaigns to generate more positive reviews. ...and you'll love the results. Build your positive review presence on Google and other review websites. Added benefit…boost your search rankings in web search results. Take control of your reviews. 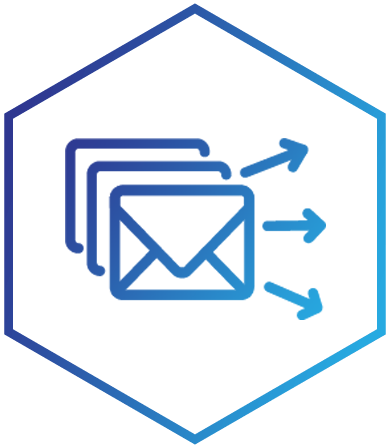 From one mobile dashboard, you can view your real-time review feed, respond directly to reviews on third-party sites, and access reports of reviews and ratings. 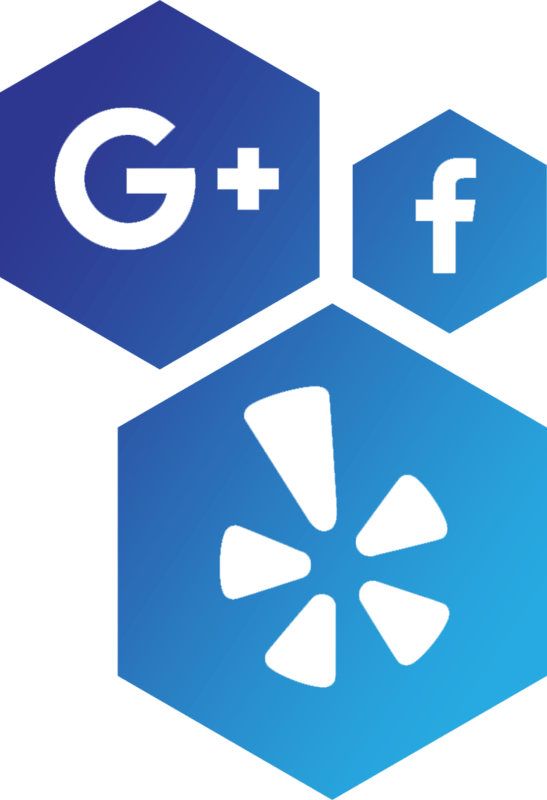 Easily monitor your online reviews from Google, Yelp, and Facebook– as well as health industry sites like Vitals and Healthgrades. 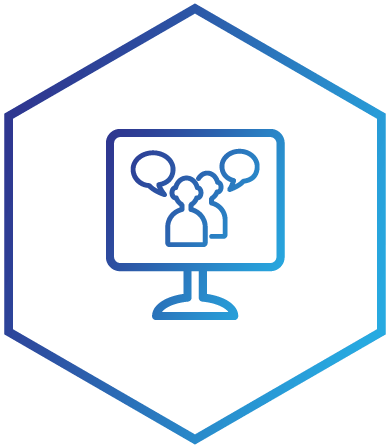 We automatically publish reviews to any site. Prompt satisfied patients to share positive feedback to top sites and recommend you to their friends and family. Establish a reliable reputation so patients trust you with their treatment. 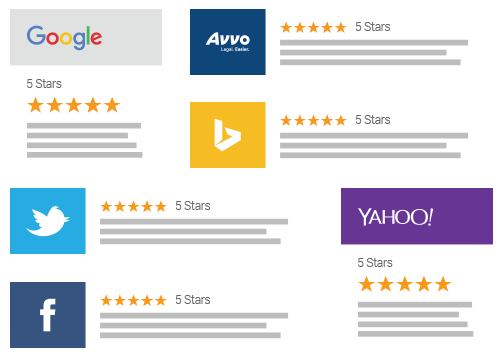 Your own personal review website for increased web search ability and aggregated reviews from more than 200 platforms. The ability to automatically or manually send review invitations via SMS or email at the touch of a button. 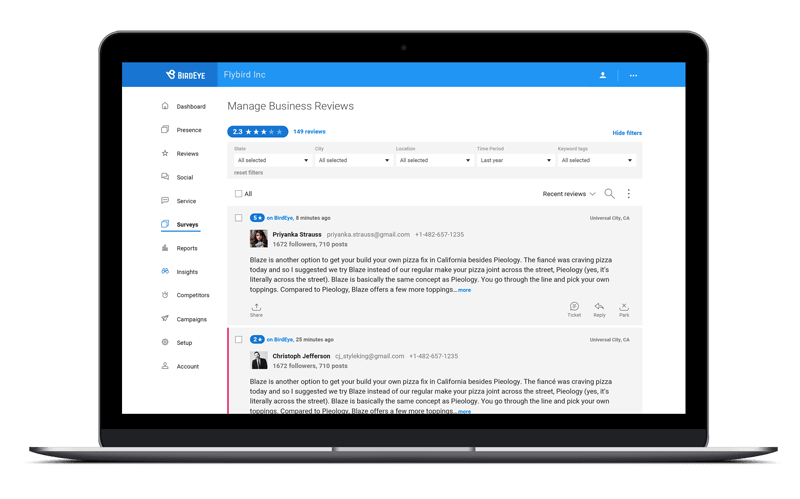 Quickly respond to and manage reviews from one centralized dashboard. Finally, one less hat to wear, and a few less passwords to remember! A live positive review feed added to your website. Patients will love seeing your real reviews right on your site! Isn't it time you take control of your reviews? Talk to us about BirdEye.